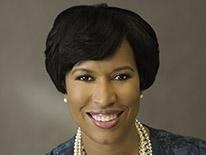 (Washington, DC) – (RealEstateRama) — On Tuesday, November 27, at 2:30 pm, Mayor Muriel Bowser and Deputy Mayor for Planning and Economic Development Brian Kenner will break ground on the Residences at St. Elizabeths East, a 252-unit apartment community with 202 affordable housing units, on the historic St. Elizabeths East Campus, delivering on her commitment to provide high-quality, affordable housing to the Congress Heights neighborhood in Ward 8. Since coming into office, Mayor Bowser has consistently exceeded her annual commitment of $100 million into the HPTF, increasing investments from $58.6 million in FY15 to $106.89 million in FY16 to $138.59 million in FY17 to $167.6 million in FY18. This funding provides gap financing for projects affordable to low and moderate income households. As a result, the Bowser Administration has been able to use multiple programs and tools to deliver 6,000 units of affordable housing, with an additional 5,200 under construction.